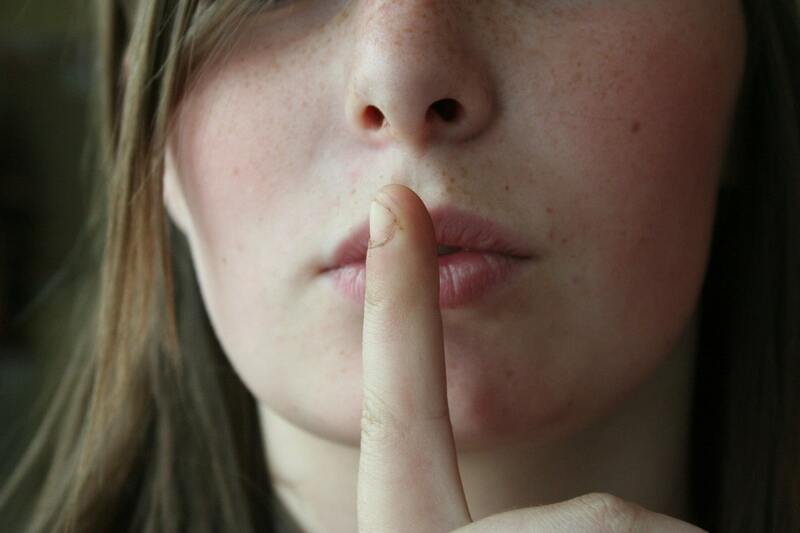 German Quiet Time: Shhh, it's Sunday (or late at night)! 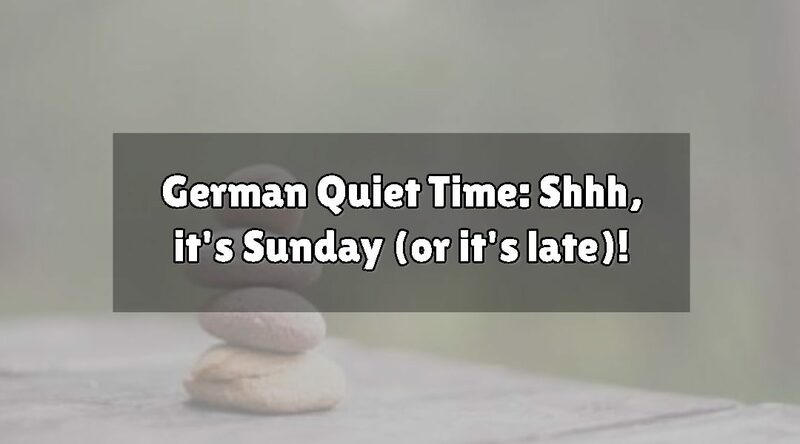 German Quiet Time: Shhh, it’s Sunday (or it’s late)! Ah, Sunday. A day off work, and the perfect time to catch up on all those little jobs which we otherwise never seem to have time to accomplish: clean the car, vacuuming the apartment, wash your laundry, maybe a little gardening or DIY. Not so when it comes to German quiet time. In fact, doing any of these activities on Sunday could land you in hot water with your neighbours, or even in court in extreme cases! If you've spent any time in Germany, you've probably noticed a serious reverence for the Sunday ‘day of rest'. Shops don't open, most people don't work, and towns become ghostly quiet on Sundays. But this respect for silence doesn't just apply to shopping. There are also legally binding rules for how much noise you can make in your own home. In Germany, if you rent or own a property, you're usually bound by rules governing Ruhezeit, or quiet time. This means it's generally forbidden to make excessive noise on Sundays, or at night time during weekdays. Run noise-making electrical appliances like vacuum cleaners. Doing laundry seems to still be up for debate. Drop your glass recycling off at the bottle bank. Hold a barbecue or party outside of your property if it might disturb others. Or do anything else that could infringe on your neighbour's peace and quiet. If you fall foul of these rules which govern German quiet time, you could find yourself on the receiving end of complaints from your neighbours, being hit with a fine, or end up being taken to court. So if you're unsure of the rules, we would advise that you play it safe. This biblical respect for Sunday as a day of rest is actually part of Germany's constitution, the Grundgesetz. It's hard to say how many Germans still respect Sundays for religious reasons (although church affiliation has declined rapidly in recent times), but it's safe to assume that most still appreciate having some time officially dedicated to peace and quiet. Germans work hard and value their peace and quiet during their free time. The country is densely populated, especially compared to the US and Australia! Germany has the surface area of Montana but with 82 million residents (thanks to Kaiserslautern US Military Community for this fact!). Most Germans, especially in urban areas, live in apartment blocks containing multiple housing units. German quiet time would otherwise be hard to enforce, given the high density housing most of the population resides in. Combine constant proximity to other people with a hectic working week, factor in the German national obsession with regulations, and it's easy to see how rules governing peaceful downtime became a matter of law. Put it simply, Germans take don't just work hard and play hard, they rest hard too. And have made laws to enshrine everybody's right to this. The national Ladenschlussgesetz or “Shop Opening Hours Law,” which forbids Sunday trade, has been becoming more lenient following substantial reforms in 2006. In most states some shops are now allowed to open on select Sundays. Berlin now has eight days of permitted Sunday shopping, while North Rhine-Westphalia now allows up to 11. As the shopping laws loosen up, naturally the rules around making noise must loosen up to meet them. For example, it used to be that you couldn't run or a shower or bath during Ruhezeit hours, as the sound of running water could be considered intrusive noise. This was recently overturned after a series of court cases involving night workers who were unable to shower before work. There are now official guidelines stating that neighbours have to accept the noise of running water at any time – as long as it's only left running for a maximum of half an hour. As the world moves towards ever more unconventional working hours, and business & commerce takes ever more priority over tradition, we can probably expect these rules to relax further in coming years. Specific rulings on what's considered an obtrusive noise vary based on where you live. 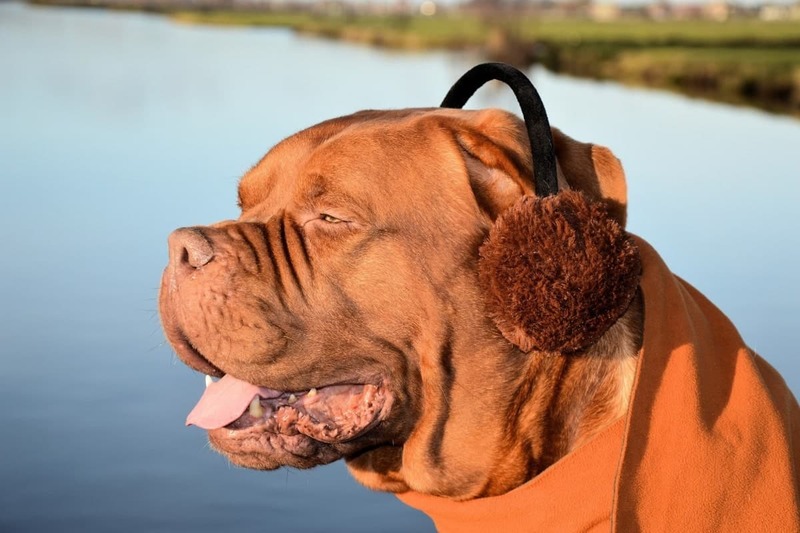 The general rule of thumb is that any noise that can be heard outside of your property is a no-no, but the fine print of your specific residence may make exceptions – as mentioned above with showers and baths. The exact timing of what constitutes German quiet time may also vary. 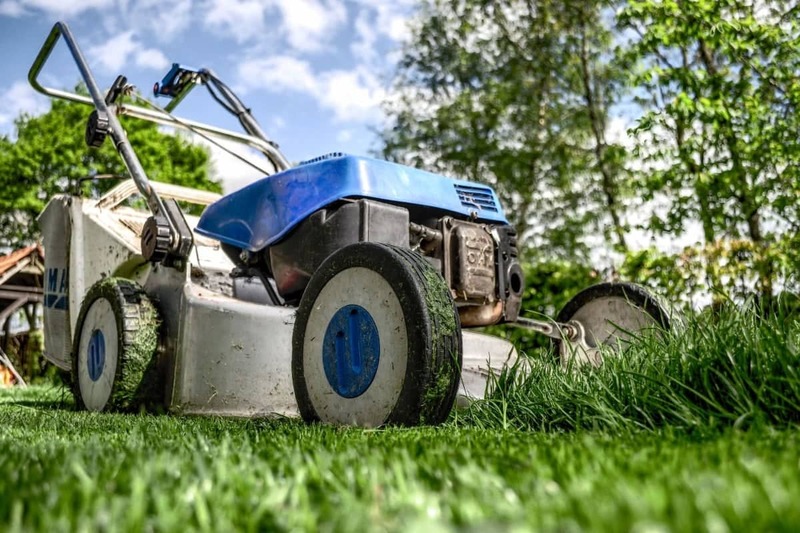 As ever with German fastidiousness, it's best to check ahead of time and acquaint yourself with exactly what rules apply to your specific living situation, and when. Especially if you want to get on with your neighbours! It's not uncommon to find this information written down somewhere public in your building. If you can't find it, ask your Landlord for a copy of the Hausordnung. Bottle banks for example generally bear a sign letting you know the permitted times to be making noise with glass bottles. For example, one expat was worried about holding a children's party on a Sunday. Having spoken to their neighbours in advance, they found them more than happy to accommodate the one-off occasion. Some neighbours said they even enjoyed hearing the kids at play. Similarly, there were several stories from people worried about having barbecues, but upon talking it out with the other people in their building, a rota was agreed and now they have monthly outdoor parties without causing offence. Bear in mind that before you can get in trouble for making noise, someone actually has to report that you are doing so. Ultimately, it all comes down to common courtesy. If you don't offend anyone, you've nothing to worry about. So learn the rules, communicate with your neighbours, plan ahead, and you should do just fine.